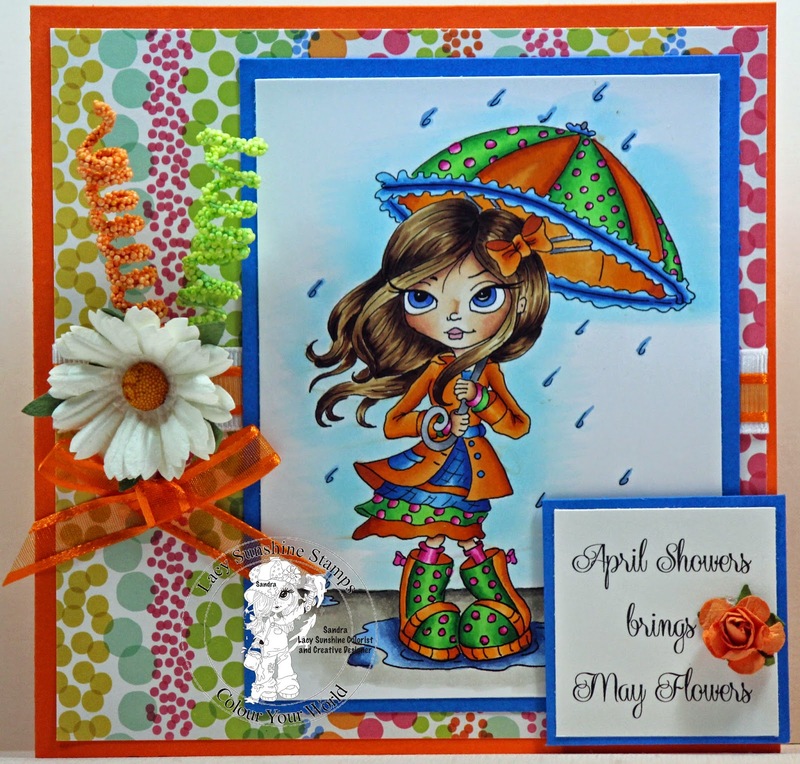 Sandra's Creations: April Showers bring May Flowers! I have some super exciting news! 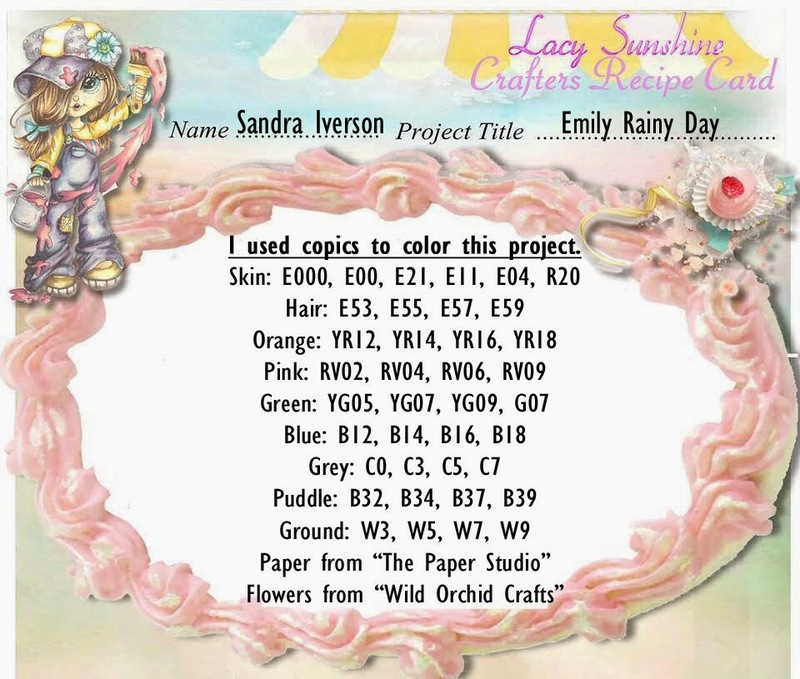 Last Sunday, Heather Valentin from Lacy Sunshine Stamps asked me to me on her Creative Design Team! I am so excited as she is one of my favorite artists! 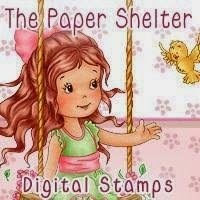 So this is my first official DT card for Lacy Sunshine Stamps! This month's theme is "Spring" so as it has been raining all week here in Houston I thought that Emily Rainy Day was just perfect! I hope you like this card as much as I liked making it! I hope everyone has a "Sunny" weekend! Creative Moments Challenge - Anything goes Spring. Craft your Passion - Challenge 257 Anything goes. 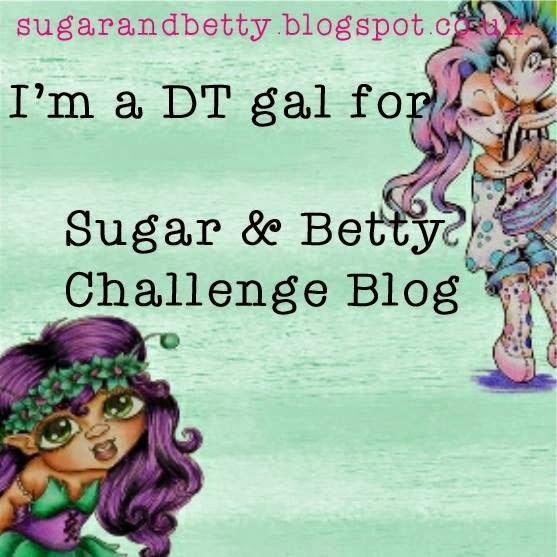 Little Miss Muffet Challenges - Challenge 109 Anything goes. 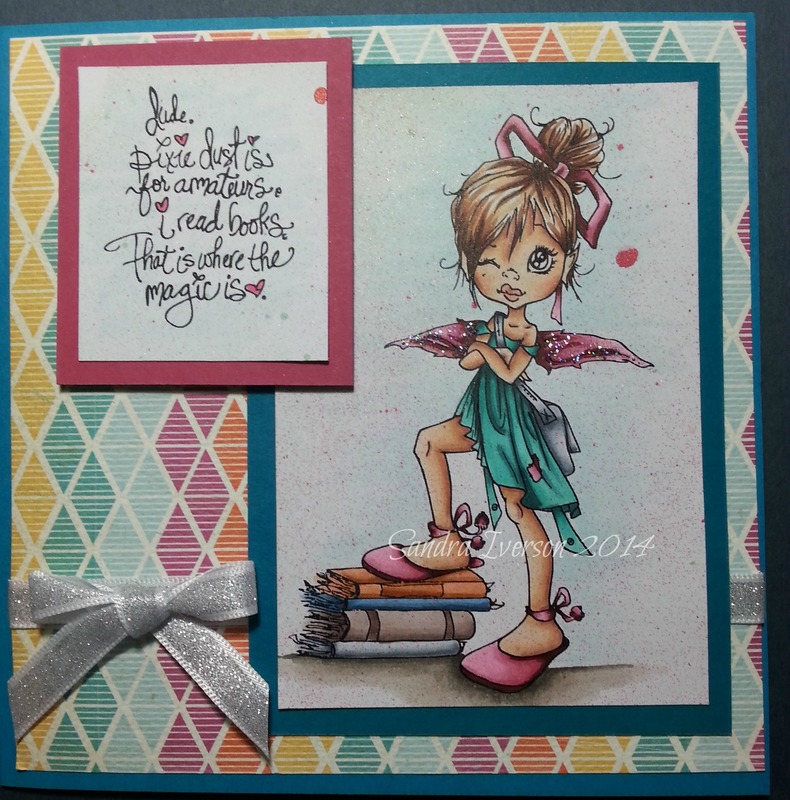 Creative Fingers Challenge Blog - Challenge 76 Anything goes. One Sweet Challenge - Spring has Sprung. 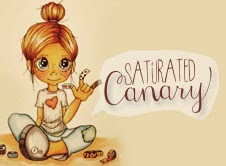 Gorgeous work Sandra! Thanks for joining us at One Sweet Challenge. And congratulations on your new designer position. Good luck and I hope we see you again. 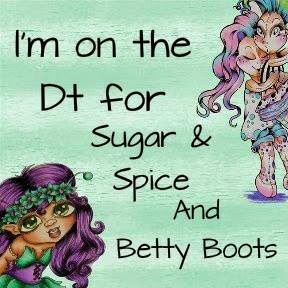 Congrats on the new DT spot. I can see why you were chosen. You have some awesome coloring skillz! This card is so bright and beautiful in every way. I love the curly's that are coming out from the flowers. hey are adorable. Thanks for joining us at Through the Craft Room Door. We hope to see you next time too. 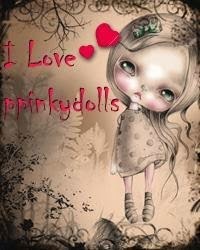 I love your fantastic coloring and adorable accents and embellies! Thanks for playing with us at One Sweet Challenge! 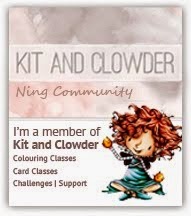 Sweet card...love the image, it's beautifully coloured. I like the combo of the colours :) Thanks for playing along at Creative Moments.